Around the first of December I started thinking about choosing my One Little Word 2015. Last year was the first year that I chose a word and when I started thinking about a choosing a word for 2015 my first thought was, "why choose a word for 2015 when you didn't do that well with your word for 2014?" As I reflected on "failing" on my word for 2014 (my word for 2014 was "health") I realized that I didn't completely fail on keeping that word at the forefront of my thoughts. I learned a lot about myself and about how to take care of body. I've learned that I have to get sleep, there are certain things I cannot eat (potatoes), and I've learned my limits (when I need to stop and rest). With that being said, I'm still working on respecting and following the things I've learned. Even though I didn't focus on my word every single day or even every single week, I still lived it and worked on it in the back of my mind. So I didn't completely fail and I'm ready to try again! Moving forward to 2015 I did chose a word and I'm taking the One Little Word class with Ali Edwards. I am SO excited about my word and about taking the class. While I was deciding what my word would be I wrote a list of possibilities. This list included: learn, forward, improve, reflect, introspective, share, goal, and radiate. I finally settled on the word "attain." My reason for choosing "attain" is simple. I want this year to not only be the year that I set a lot of goals, I want it to be a year when I attain those goals. Attain means: to reach, achieve, or accomplish; gain; obtain, "to attain ones goals." I chose the word "attain" not only for its meaning directly related to achieving goals but also as it is meant to "accomplish." I know that there isn't a lot of difference in those two meanings but when I look at it I want to, attain more balanced health, attain more simplicity, and attain more peaceful and quietness in my life. I guess for me the goals that I have set are more directed to my life professionally but I don't want my one little word to only apply to my professional life, I want it to apply in my personal life as well. This year is bringing many changes for our little family, positive changes, but changes that are a little bit scary and will be bringing a lot of new territory for us. I'm excited for changes but change is scary for me. I'm a wimp like that. ;) I say bring on 2015, I'm ready to attain the goals I have set and to set and attain new goals as well. Are you participating in the One Little Word 2015 class or just challenging yourself with a word this year? Let me know if you're taking the class, I'd be so excited to have some familiar faces in the crowd! 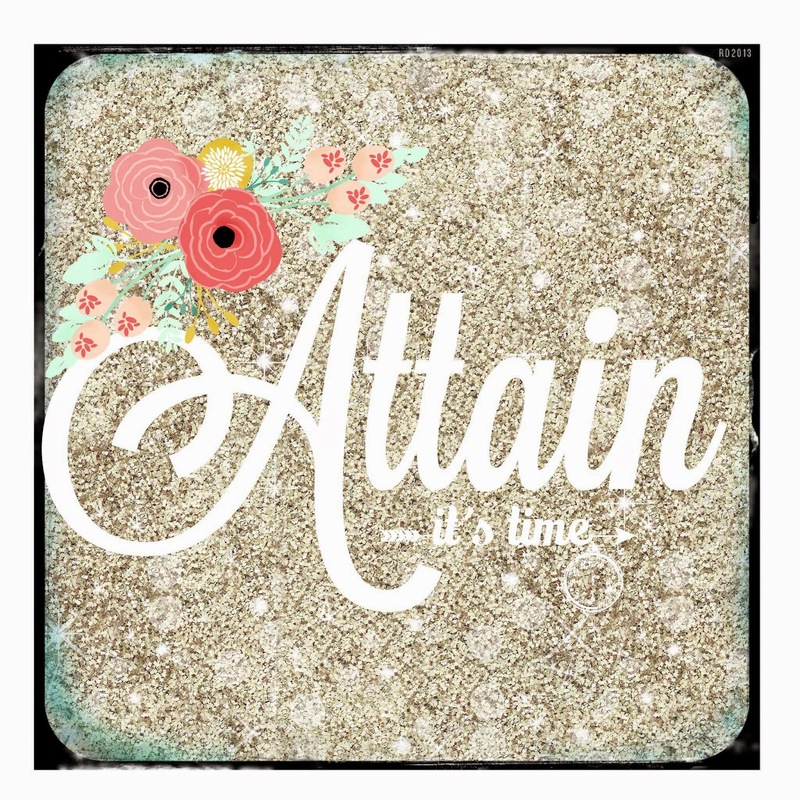 attain is a great word for 2015 :) thanks for sharing and happy new year! Thank you Lexi! I'm excited about my new word! <3 THanks for stopping by! attain is a perfect word. i'm glad i chose my word before i started reading everyone else's posts. i'm so inspired by all of them. I had the same experience thinking about choosing a word for this year! My word for 2014 was enjoy. When I think about what a tough year it was and how I didn't really succeed at not getting worked up on the little things, I feel like it wasn't that successful. But it's exactly what you said - keeping the word at the forefront was still so helpful. It still helped me remember that's where I'm heading, even if one year didn't "accomplish" as much as I wanted it to. I love "attain." It's so easy to set goals and then forget them (me, not you). I'm participating in the workshop this year for the first time! My word is self (hopefully that doesn't sound too selfish!). I'm so excited for the inspiration and encouragement with making the word visible. Kristen, I think we too often sell ourselves short when it comes to looking at what we've accomplished. I'm so exited for the workshop. I do think it will make this years word even more meaningful and beneficial for those who participate. Not for one second should you think that "self" is too "selfish." Just remember that you have take care of yourself before you can help/take care of anyone else! Thank you for visiting my blog and for your sweet comments!